The Guardian's Gala Is Here! With the deployment of yesterday's release, the Guardian's Gala has begun! The annual celebration held by the Serpentis Corporation brings together their underworld and criminal partners from across the cluster, mainly from the Angel Cartel and their mercenary contracting wing the Guardian Angels, who are exclusively occupied with guarding Serpentis Corporation space. Guardian's Gala Rendezvous Points have appeared all over New Eden as part of this event, and there's more than likely sizable rewards within them for capsuleers brave and skilled enough to crash the party. Rumor has it that there's new Spirit SKINs, training accelerators and modules up for grabs, plus a few other goodies as part of challenges hosted within The Agency. Be sure to check The Agency in game in order to find out what's up for grabs and how you can get your hands on it! The Guardian's Gala will run from 13-27th February, and you can check out more details here! 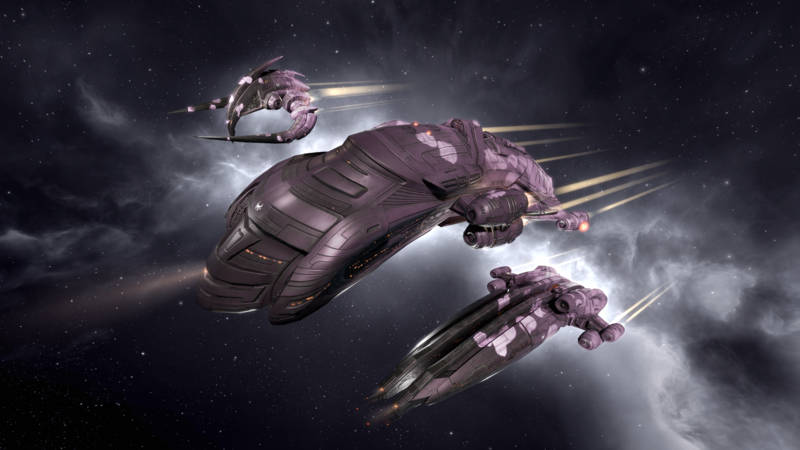 In addition to this, there's also a new line of Eros Blossom SKINs available in the New Eden Store, which will be available for a selection of 7 hulls during the Guardian's Gala. Check out the New Eden Store in game for more details!